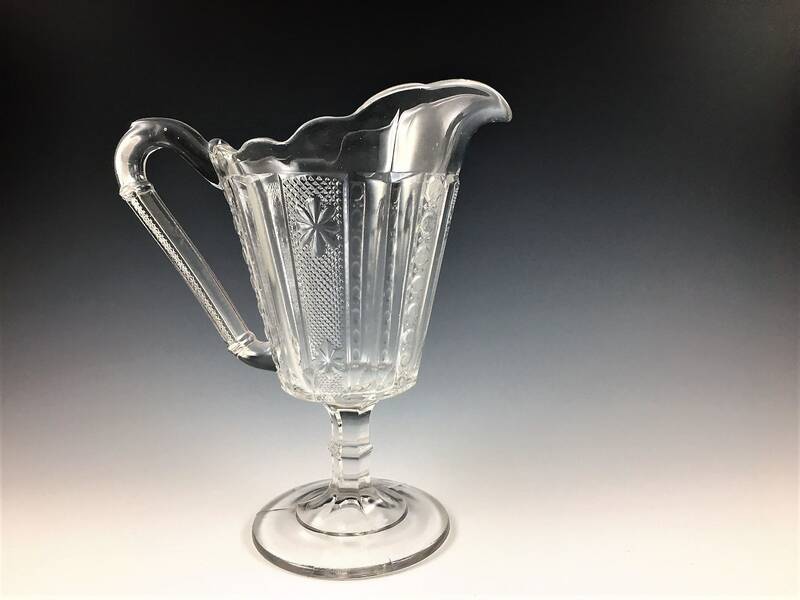 Featured is a wonderful piece of Early American Pattern Glass (EAPG) from an unknown glass company. 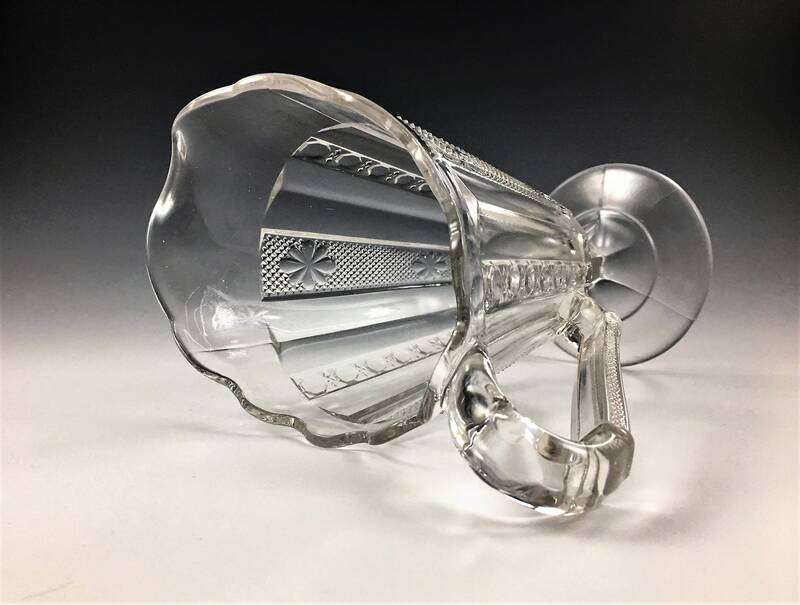 It's in a pattern that has come to be known to collectors as Sedan or Paneled Star and Button. This pattern was produced in early 1880's. 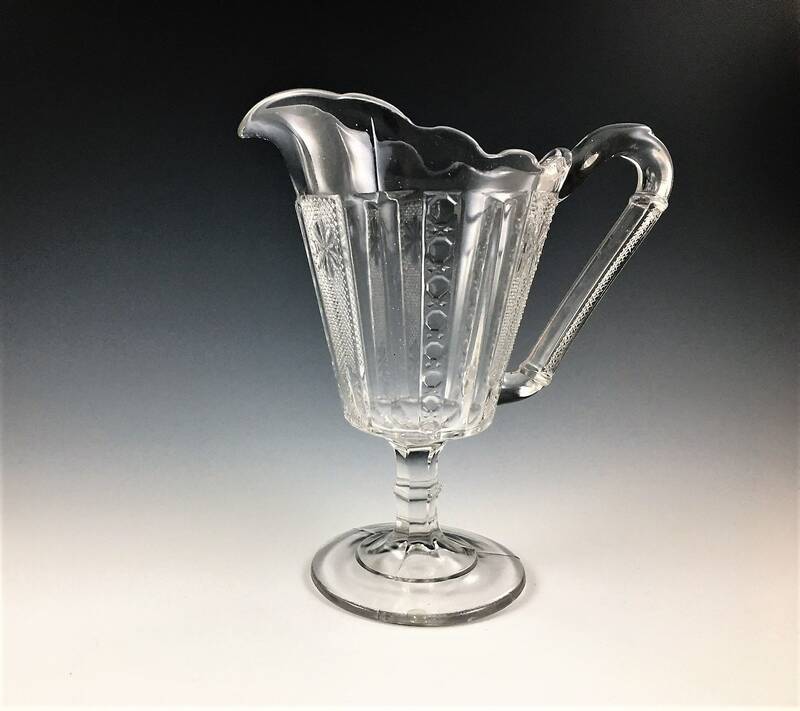 This creamer or cream pitcher measures about 6 1/2 inches tall and 5 3/4 inches across from handle to spout. It is in great vintage condition with no chips or cracks.